The following terms and conditions govern your access to and use of this Site. These terms and conditions may change at any time without notice. 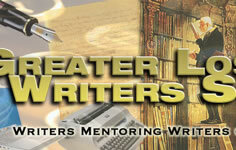 GLAWSTM means The Greater Los Angeles Writers SocietyTM and its subsidiaries and affiliates. 1. 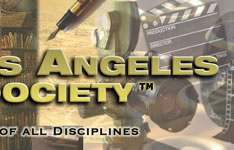 The names and terms "The Greater Los Angeles Writers Society" and "GLAWS" are the registered, common law, copyright, service marks, and/or trademark exclusive property of the society and may not be used without express written permission of the Executive Board. 2. The information on this Site may be changed without notice. GLAWS may change or withdraw any products or services described at any time without notice. 3. GLAWS is not responsible for any errors or omissions contained on this Site. All GLAWS and third party information is provided AS IS. GLAWS DISCLAIMS ALL WARRANTIES, EXPRESS OR IMPLIED, INCLUDING BUT NOT LIMITED TO THE IMPLIED WARRANTIES OF MERCHANTABILITY, FITNESS FOR A PARTICULAR PURPOSE, AND NON-INFRINGEMENT. Some jurisdictions do not allow the exclusion of implied warranties, so the above exclusion may not apply to you. 4. In no event will GLAWS be liable for any damages whatsoever, including but not limited to any special, indirect, incidental or consequential damages or any damages for lost profits, lost revenue or loss of use arising out of or related to this Site or any information contained on it. 5. Any information or material submitted to GLAWS in connection with this Site is provided on a non-confidential and non-proprietary basis and shall become the property of GLAWS. Such information or material may be used by GLAWS for any purpose on an unrestricted basis, including but not limited to reproduction, display, performance, modification, transmission and distribution. GLAWS is also free to use any ideas, concepts, know-how or techniques submitted to GLAWS for any purpose on an unrestricted basis. Logo and mark of the society is registered. 7. No right or license is granted, by implication, estoppel or otherwise, to use any trademark, service mark or logo displayed on this Site or any other intellectual property rights of GLAWS or any third party. 8. Reference by GLAWS to another site does not mean GLAWS endorses or accepts responsibility for the content or use of that independent site. GLAWS has no control over such independent sites and is not responsible for the content or use of those sites. Copyright GLAWS. All rights reserved. 9. GLAWS assumes no resposibility for the information and/or opinions that are provided andand/or expressed by its members and/or their representatives in any mannor on this site. Copyright Notice: NOTICE SPECIFIC TO SOFTWARE, INTERNET INTELLECTUAL PROPERTY AND AUTHORING USED ON THIS WEBSITE is the copyrighted work of TODARO COMMUNICATIONS, INC. Without limiting the forefoing, copy or reproduction of the source code or software to any other server or location for further reproduction or redistribution is expressly prohibited. 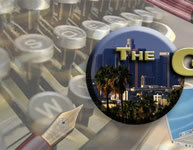 Copyright Todaro Communications, Inc., Todaro Design Group, PO Box 2267, Redondo Beach CA 90278. All rights reserved. Any rights not expressly granted herein are reserved. No duplication is permitted of this site graphically or conceptually unless requested and approved in writing. Site Concept and Design by Tony N Todaro.